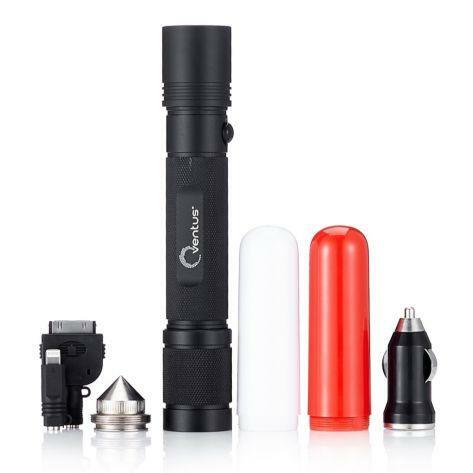 The Ventus SuperLite torch is a 3W rechargeable torch made from high strength aluminium, plus it is also capable of charging mobile phones via the integrated USB socket. Never find yourself lost in the dark or out of phone charge with the Ventus SuperLite torch. The light modes include fast and slow flashing, and an SOS flash pattern. The kit also has screw on light diffusers to enable the product to be used as a cordless inspection lamp / camping lamp or as an emergency warning light. Buying this product will earn 227 Loyalty Points. Be the first to submit a review for the Ventus SuperLite Torch.